Clay and silt have drawn attention from foundation engineers as they produce most problems related to strength and foundation settlements. 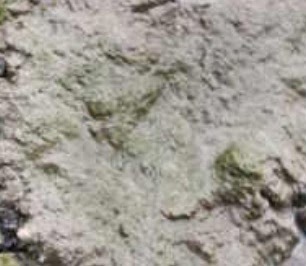 Here our concern is silt; we have discussed many aspects of clay in previous posts. Silt has mineral origin of feldspar and quartz. It has moderate specific surface area having a typical plasticity, non sticky feel. Sand is a granular material has mineral particles and fine fragments of rock. Though it has variable composition, in most cases, silica as quartz is the main constituents of it. This sand is very resistant to weathering because of hardness and chemical inertness of constituent minerals. At dry state silt has floury feel but when get wet it results slippery feel. The grain size of silt and sand produces the principle difference. 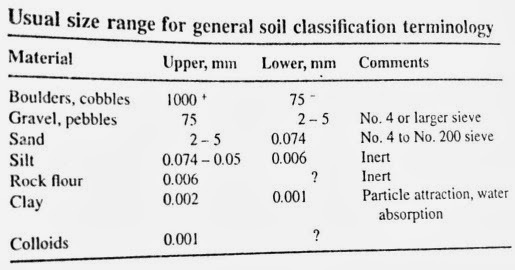 We are providing a table below which lists grain size of both types of soil particles. 0.625mm is the demarcation line between sand and silt (ISO 14688). The upper limit of silt is (0.074 -0.05) mm probably 0.625mm is defined from the average of both. Particle of silts is smaller than above value and go down up to 0.004mm. Sand shows opposite trend but upper limit is variable according to different standard. Silts without having contamination are inert i.e. there have no particle that have attraction potential. Contamination term is used as silts often remain in contaminated state. We will discuss about this in our next post.